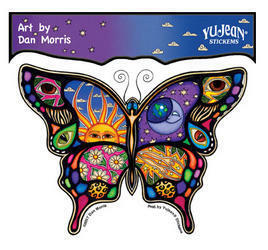 This is a psychedelic looking Butterfly sticker with a night and day theme, with the artwork designed by Dan Morris. It measures approximately 3 1/2" x 5". Put it on your car, locker, wall, or cabinet.